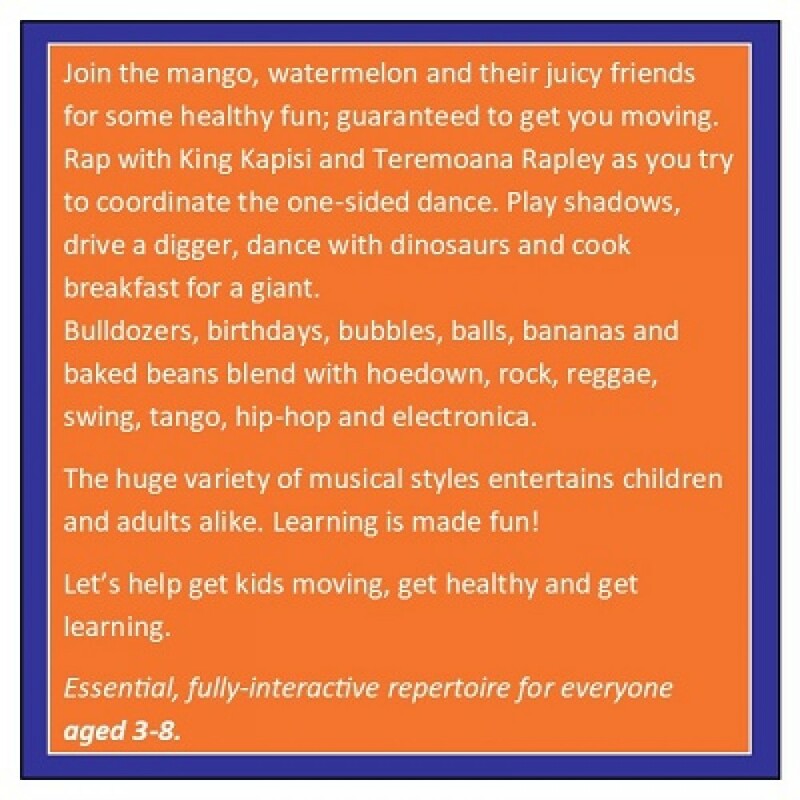 Join the mango, watermelon and their juicy friends for some healthy fun; guaranteed to get you moving. Rap with King Kapisi and Teremoana Rapley as you try to coordinate the one-sided dance. Play shadows, drive a digger, dance with dinosaurs and cook breakfast for a giant. Bulldozers, birthdays, bubbles, balls, bananas and baked beans blend with hoedown, rock, reggae, swing, tango, hip-hop and electronica. The huge variety of musical styles entertains children and adults alike. Learning is made fun! Let’s help get kids moving, get healthy and get learning. 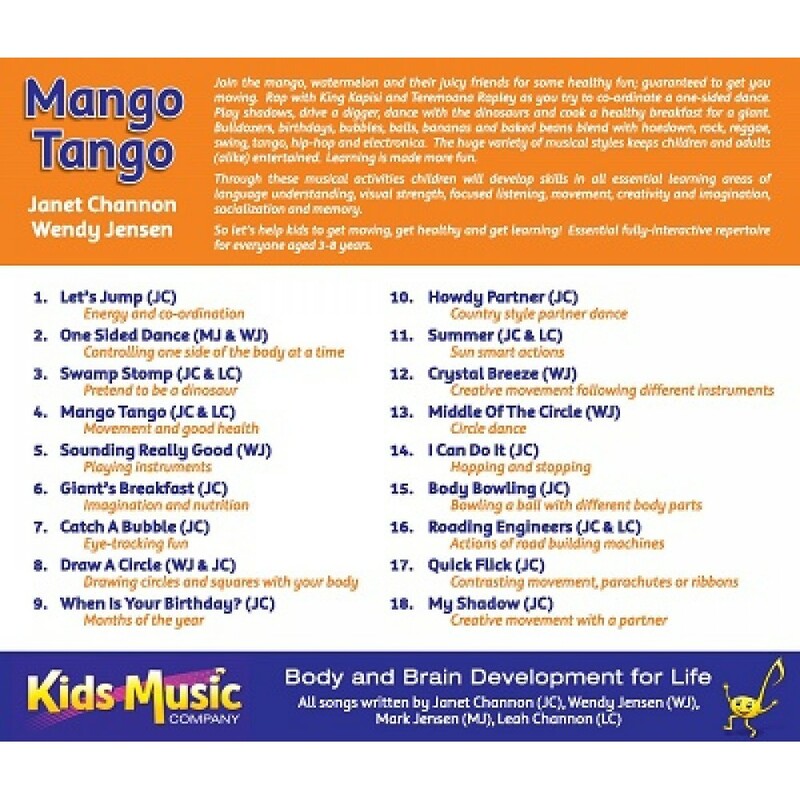 Essential fully-interactive repertoire for everyone aged 3-8. 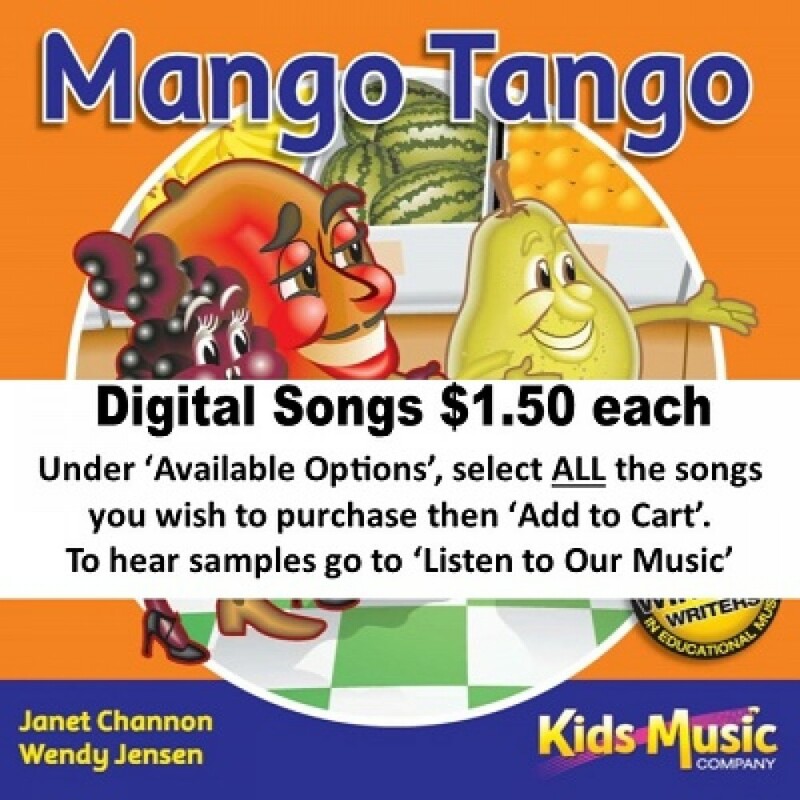 Tracks include: Body Bowling, Catch a Bubble, Crystal Breeze, Draw A Circle, Giant’s Breakfast, Howdy Partner, I Can Do It, Let’s Jump, Mango Tango, Middle of The Circle, My Shadow, One-Sided Dance, Quick Flick, Roading Engineers, Sounding Really Good, Summer, Swamp Stomp, When Is Your Birthday?